Recently the whole industry of online video slots have been overflow with the humongous amount of the new videogame releases from all sorts of the gaming development companies. 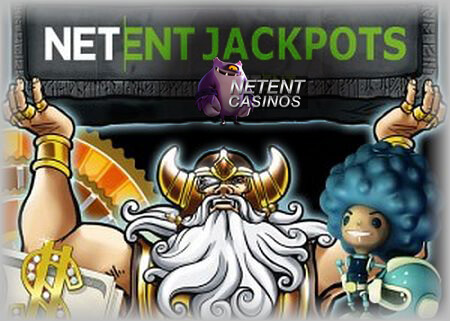 A well-known industry leader, NetEnt, decided not to stay behind the trend and has just announced its release of the new jackpot game called Divine Fortune. It is quite a casual game that comes with a very solid setup. It consists of five reels and three allows, and allows a player to spin only over the 20 paylines. The main difference between this and other games is that the amount of paylines is not adjustable. The artists and developers have majorly contributed towards designing a great game in the theme of the ancient Greece It comes with some amazing graphics that portray the mythical creatures, coins and various legendary heros. What makes this game truly special is the jackpot that it offers. Or, even better, the jackpots. Unlike most of the games, Divine Fortune comes with three different types of jackpots, amongst which you can find Mega Jackpot and the local jackpot. The jackpot games from NetEnt are very well known. Other game titles like Arabian Nights and Mega Fortune Dreams have accounted for a total amount winnings of 3.5M EUR over the month of January.